In the latest addition of On The Road, ESPN FC's Alison Bender digs up the best facts about each of the Euro's semifinalists. Portugal, Wales, Germany and France are just one step away from the Euro 2016 final. Who will make the showdown in Paris? PORTUGAL: If you had told any Portugal fan before the tournament started that Wales would be standing between them and the final, they would not have believed you. Even less so if you added that they had reached the last four without winning a single game in 90 minutes and generally playing less-than-inspiring football. Yet you won't find anyone complaining in Portugal. Ever since the swashbuckling football played by Luis Figo, Rui Costa and co. announced the country as contenders to be taken seriously at major tournaments with a run to the semis at Euro 2000, the team has made a habit of losing gloriously and/or unluckily. As coach Fernando Santos says: "I prefer to win ugly and still be here rather than play pretty and be at home." What Portugal have lacked in cohesive football they have made up for in heart and commitment. In each of their last three matches -- against Hungary, Croatia and Poland -- there were times when they were teetering on the verge of elimination but each time they found a way to win. 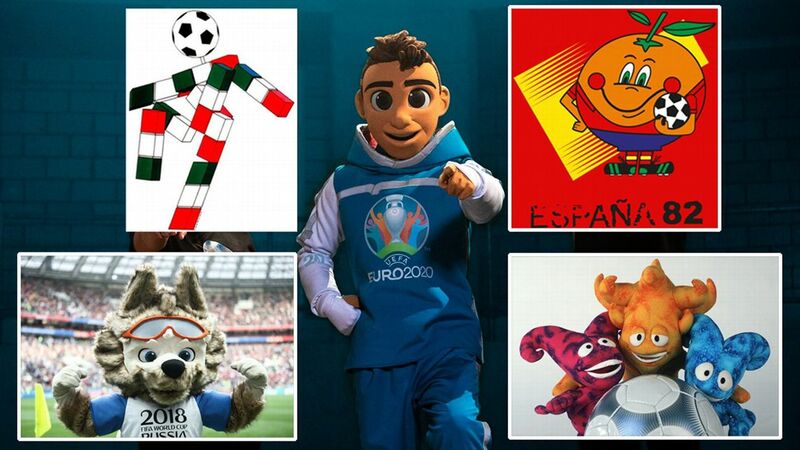 This is Portugal's fifth semifinal at a major tournament since the turn of the century. They have won only one of the previous four, but it is that new-found, never-say-die attitude as much as their superior technical proficiency to Wales that will take Cristiano Ronaldo and his teammates to the final in Paris. WALES: "Don't be afraid to dream ... don't be scared of failure," were Chris Coleman's words following the 3-1 quarterfinal victory over Belgium, and of the four teams remaining at Euro 2016, Wales are the only team the words can really apply to. Having gone beyond expectations and hope, this team truly has nothing left to fear. But while fans dream, there is still reality to contend with. For the first time since easing Joe Ledley into the tournament, Coleman is without a full complement of players, with Aaron Ramsey and Ben Davies suspended. Ramsey's loss is a significant blow -- especially given that he gave arguably his best ever Wales display against Belgium -- and will prompt a tactical shuffle in midfield with Jonny Williams likely to get the nod for his propensity to win free kicks in Gareth Bale territory. Davies' absence will get less column inches, but its impact could be just as severe. The Tottenham defender has been one of Wales' most consistent performers in France and will be a hard act to follow for either James Collins or Jazz Richards. Despite largely misfiring throughout the tournament, Portugal will undoubtedly be favourites, especially as Wales are forced to make changes. The doggedness of the Portuguese thus far suggests they will win out. All dreams have to end at some point. GERMANY: The penalty shootout drama was costly for Germany -- Mats Hummels picked up his second yellow card and will sit out the France match, Mario Gomez's wonderful comeback ended with a muscle tear and holding midfielders Bastian Schweinsteiger and Sami Khedira are major doubts for the last four meeting with the hosts. 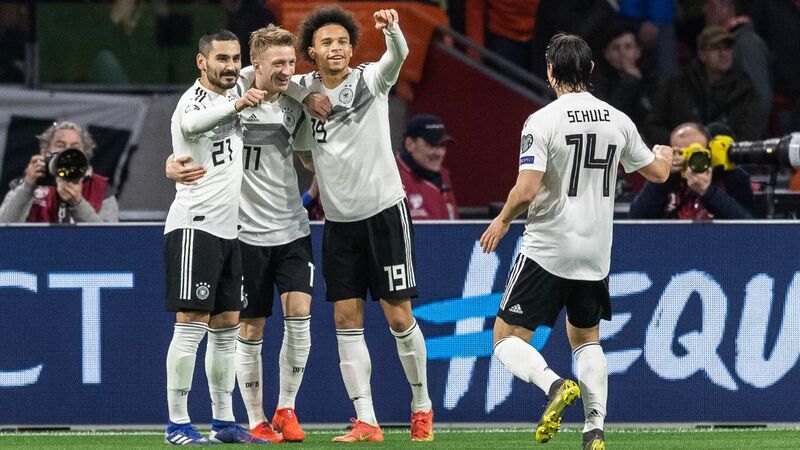 Germany's squad still oozes with talent, and with Joshua Kimmich already in the starting XI, Liverpool's Emre Can or Dortmund's Julian Weigl could be thrown in, as could Schalke youngster Leroy Sane. None of them have played a minute at the tournament, but have constantly been praised by Joachim Low for working hard in training. However, as Low might consider going back to a classic 4-2-3-1 system, there could be as many as four changes, and Germany will play a rampant France side, with the hosts storming past Iceland in the quarterfinals. Whereas Italy based their game on defending and waiting for their chance, France will attack the Nationalmannschaft with all of the country backing the hosts to reach the final in Paris. This was always going to be a tournament in a transition period for the world champions, but their road looks likely to end in Marseille on Thursday. FRANCE: Hosts France finally delivered the sort of performance in their 5-2 win over Iceland that many have expected of them since the start of Euro 2016. Now into the semifinals and brimming with confidence, they are faced with reigning world champions Germany. Didier Deschamps' men were lethal in attack against the spent Icelanders and Olivier Giroud, Antoine Griezmann and Dimitri Payet all featured prominently. The Germans will be a much tougher proposition than Lars Lagerback and Heimir Hallgrimsson's side, though, so Les Bleus must tighten up at the back. Although they will be missing a number of regulars, Joachim Low will still be able to align a starting XI of the highest quality and the French will need to raise their game another notch or two to advance. Adil Rami and N'Golo Kante will return from suspension in Marseille but Deschamps should consider keeping more or less the same starting XI that he fielded against Iceland.